I had an absolute blast in Vegas a couple weeks ago, and may or may not have spent a little too much money. You just cant beat the shopping there, and not to mention the weather is so nice right now! My husband bought me my first Kate Spade bag, and I am IN LOVE. It went perfectly with my new favorite sweater, so I just had to share. Happy Friday! What are you doing this weekend? Also, don’t mind the two images in this post where my hair is different. They were actually taken on separate days, but the first time it got dark so we had to reschedule. 😉 lol don’t judge me. Also, don’t forget to come to the Bloggers Give Back event tomorrow. 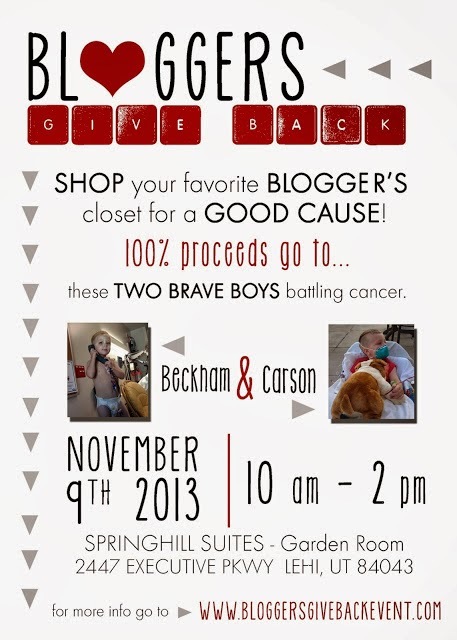 Come shop out closets to raise money for two little boys fighting cancer. This is a great cause!! 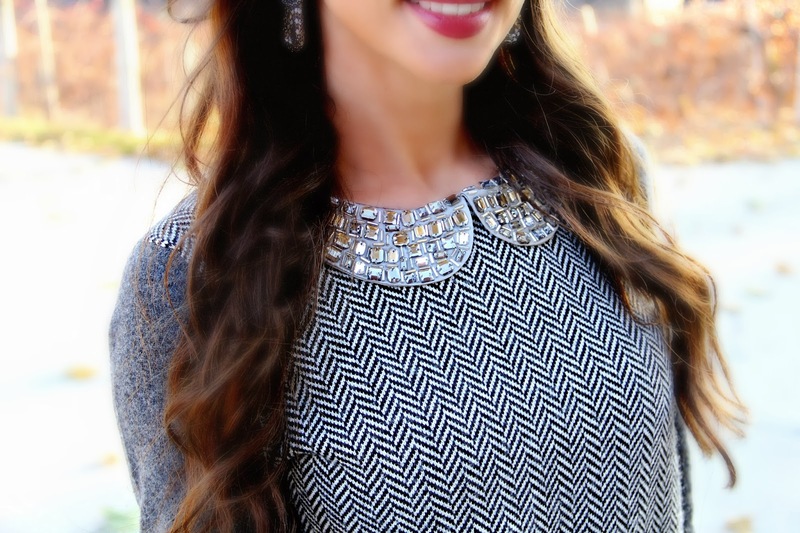 I really love the herringbone top – it's such a great fall piece. Thank you! 🙂 your are too sweet. I checked out your blog, we should do a collab together! We'd love to work with u! What a gorgeous top!! I am so loving that collared top – too cute! This is such an amazing look on you!! so super chic!! I was just on another blog who attending the bloggers give back event! I think that is such an amazing cause and I love seeing all the bloggers working together to do some good!! Love that sparkles, adorable outfit. Hi Amy! Thank you so much, it really is the best sweater. 🙂 I love you blog! Let us know if you ever want to do a blog collab with us.